Happy Easter to all! I have a few new releases this week, just in time for Easter/Spring…some of the newly released items on the 60L Weekends event! 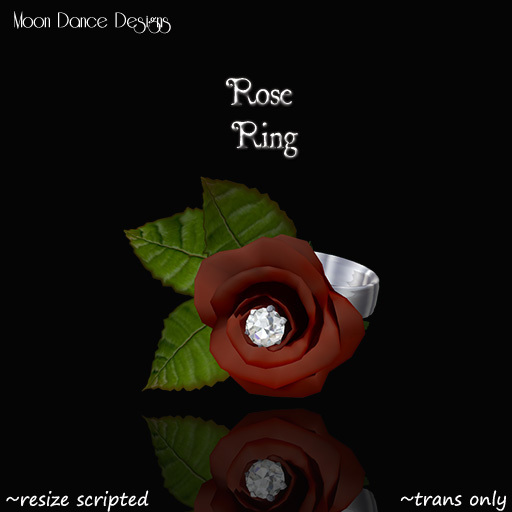 The weeks release includes a cute short set, matching jewelry, matching thongs and prim nails! All called Pretty Pastels! The cute short set is available in 4 pretty pastel colors: Pink, Blue, Yellow and Lavendar. 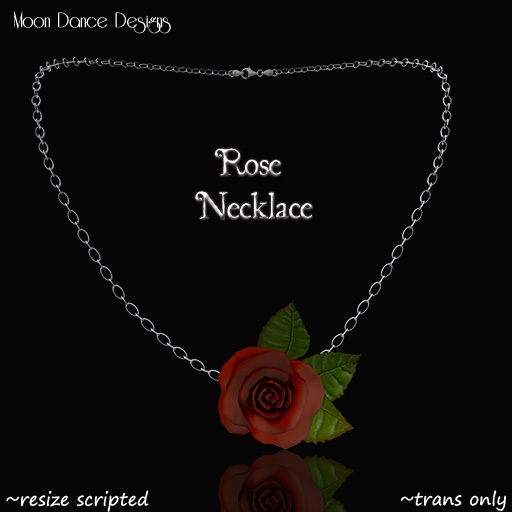 The matching jewelry set consists of a necklace, earring combo in the soft pastels. Other colors available are: blue, green, peach, periwinkle, white, purple, and yellow. 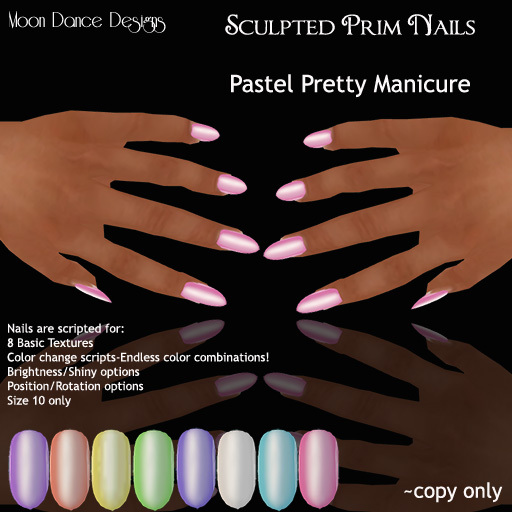 The prim nails (size 10 only) come scripted with the soft pastels as well as color change for endless combinations! The color sets of PINK in the shorts set, jewelry set, thongs and the prim nail set are all available for the 60L Weekends event! (All other colors at regular price) Please find these specials in their new 60L Weekend spot, right as you come in the front door, to the right! The hunt is on! Come search the sim for 10 hidden Easter eggs to claim your gift basket! 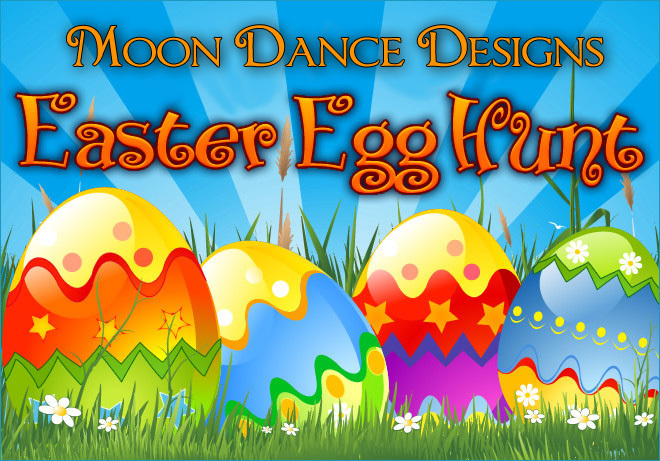 Find all 10 eggs to recieve your Easter/Spring basket filled with jewelry and accessories! (The eggs are all hidden on half of the sim, spanning from the new MMH Meadows Pets and Breedables shop to behind the main shop, the pond area with 7Seas Fishing and the covered bridge). A great way to explore the newly remodeld shop and sim! I have a few new releases this week…and all are on sale this weekend for the 60L Weekends event! 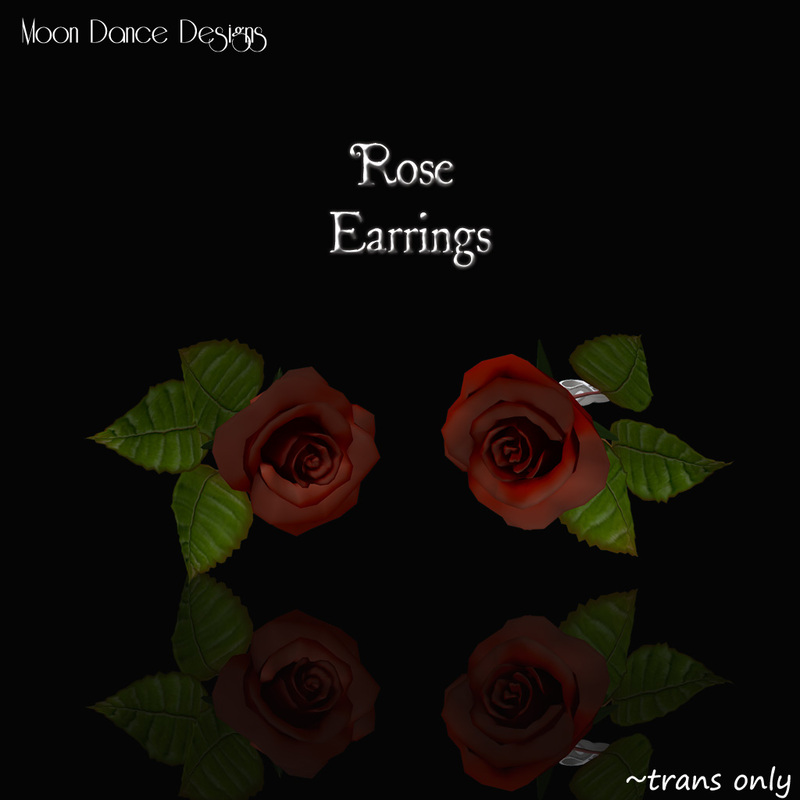 A cute set (sold seperately) of jewelry for your Spring/Summer warerobe…each piece decorated with a soft, delicate rose bud. Please find these specials in their new 60L Weekend spot, right as you come in the front door, to the right! Also, starting this Sunday, there will be an Easter Egg Hunt on the sim, with many goodies for your Easter, Spring and Summer seasons! Watch group notices for more details! Please drop by the sim…many items in stock…And plenty of places to visit! I have been steady working on the sim remodel, almost all done…the teleports aren’t quiet ready yet, but please have a walk around the sim! There is a pond behind the shop, where you can fish, using the 7Seas fishing system, horse riding trails on the public side of the sim, and as always, relax at The Dock! A place to bring friends, dance, chat…and relax! I invite you to enjoy the public areas of the sim! The other big news?? I’ve been playing around with the Breedable pets in SL…and am having great fun trying to see what awesome offspring I can come up with! Please visit :.MMH Meadows. : located on the East side of the sim…My stock is small right now, as I would love to breed for the best traits possible in all my breedable pets! The shop includes: Amaretto Horses, Wyrmwood Faeries, BioBreeds Dogs, Pet Peddlers Fish, and even Clamables clams!